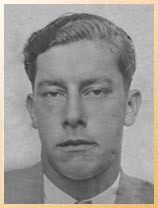 Policeman William Anderson was killed in a motorcycle crash while attempting to stop at the intersection of Pico Street and Spaulding Avenue at approximately 9:00 pm. Policeman Anderson was survived by his wife, parents, brother, and sister. Rest In Peace Brother. You are not forgotten on the 84th anniversary of your E.O.W.